Projects aimed at keeping up our community standards! This page can also be accessed via www.LakelandTN.gov/projects. 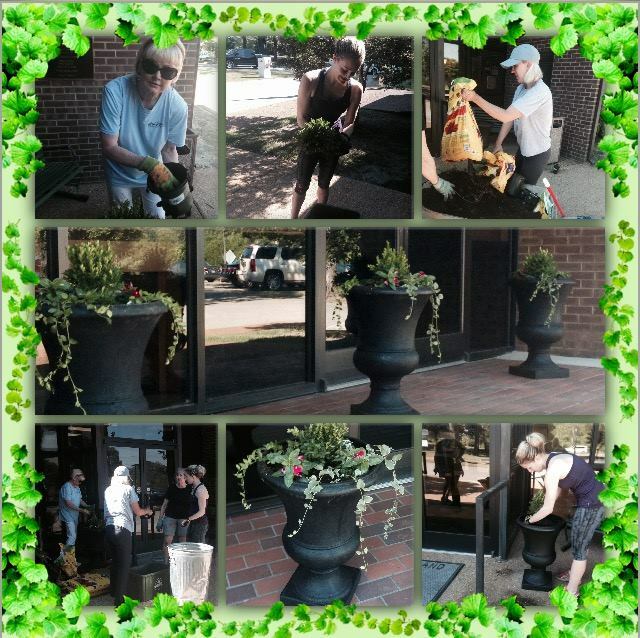 Special thanks goes out to Keep Lakeland Beautiful Advisory Board members for giving City Hall a fresh look by planting lots of greenery and color in the five new urn planters in front of building. Board members, Aimee Felker, chair; Sherrye Willis, treasurer, Alison Ely, Kendall Major, and Sherri Gallick, BOC Liaison, are dedicated to sustaining a vibrant clean community. Your hard work and dedication is being notice throughout the City. Great job!!!!! Lakeland's Public Works Department clears trees that have fallen on the road, etc. 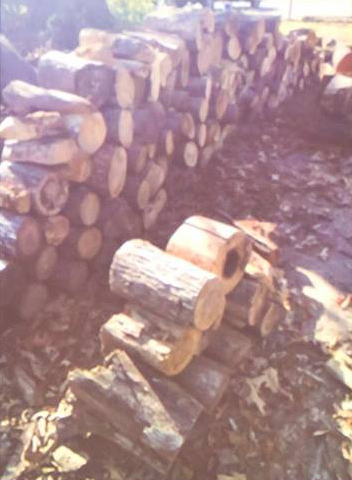 When available, residents may pick-up free firewood by contacting the Public Works Supervisor, here. 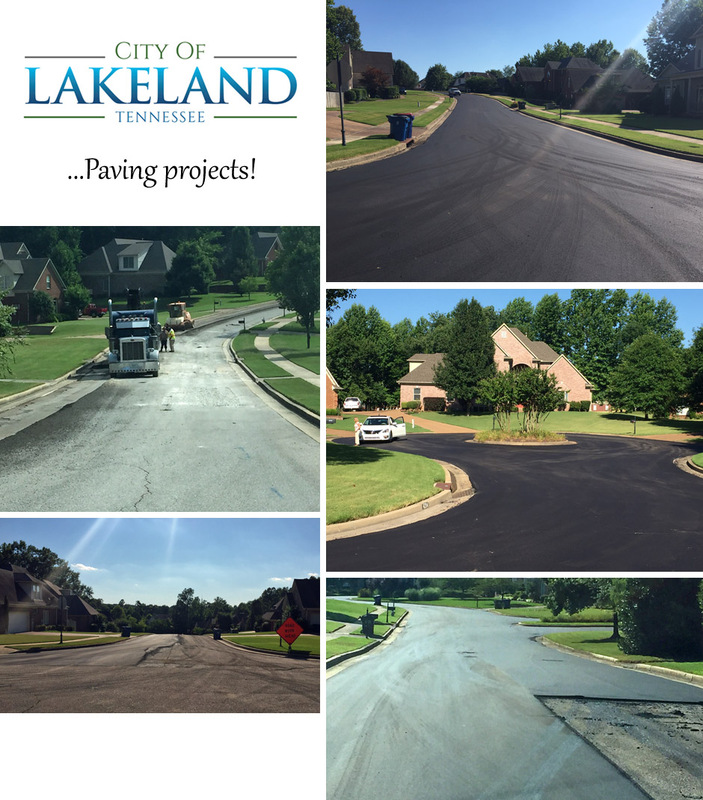 Stonecrest Circle & Woodbridge Paving Projects...completed!